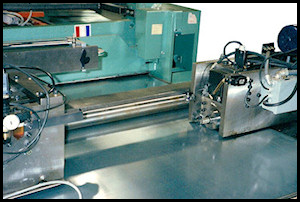 Coil Cut To Length Lines allow a manufacturer the flexibility to produce sheared blanks in a wide range of lengths with a minimum amount of scrap and handling. Equipment such as this can drastically reduce material cost and production time allowing you to minimize your inventory and incorporate a Just-In-Time (JIT) production philosophy. 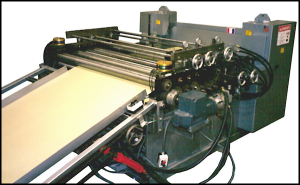 American Sheet Metal Equipment manufactures a wide variety of Coil Cut To Length Lines that are capable of meeting your fabrication requirements. Whatever the application, whatever the need we can incorporate our standard features along with any of the options that will increase your production rate along with cutting your cost. We offer a full range of Drives, Controls and Line Configurations along with inline notching, punching and labeling to fit your every production requirement. 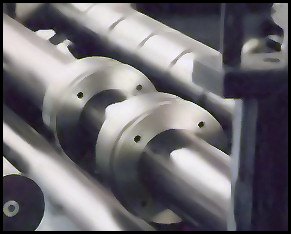 Our systems are designed to straighten and cut-to-length 10 Ga. to 30 Ga. mild steel, aluminum or stainless steel in widths up to 72″. 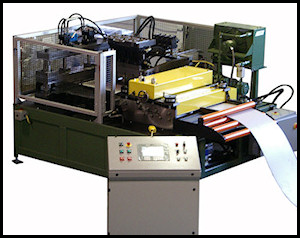 We can also incorporate several types of Slitters into the Cut To Length Lines to increase your production capabilities. Throat Slitters offer quick-changeover for Just-In-Time setups and Arbor Slitters for multiple slit applications.